The explosive growth in virtualization is leading to an increasing demand for network performance. With more virtual machines (VMs) running on each multicore server, networking traffic is dramatically increased with each VM competing for available I/ O bandwidth. 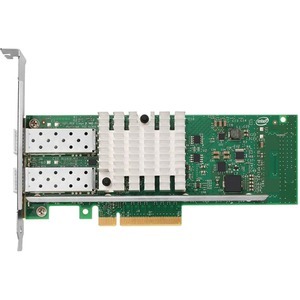 Intel's family of Intel Ethernet X520 Adapters addresses networking bottlenecks in virtualized environments. These adapters enable network-intensive applications to achieve the performance expected in a virtualized environment.